Great for keeping those important keys on your wrist, with a tag for your advertising message. 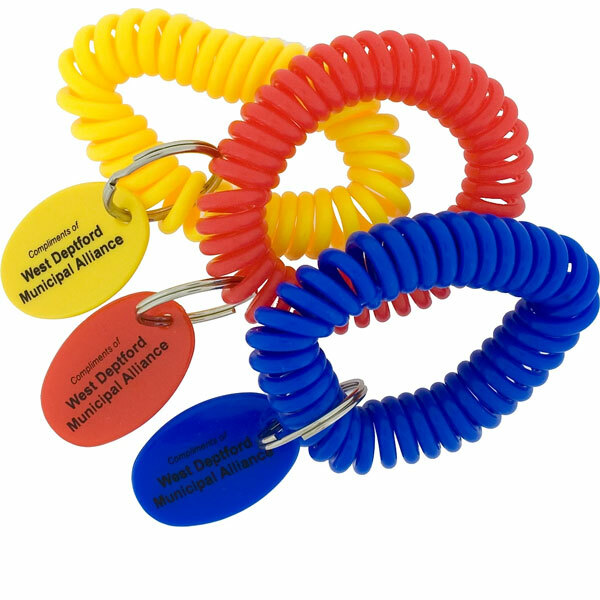 Features high elastic spiral coil, chrome split ring. 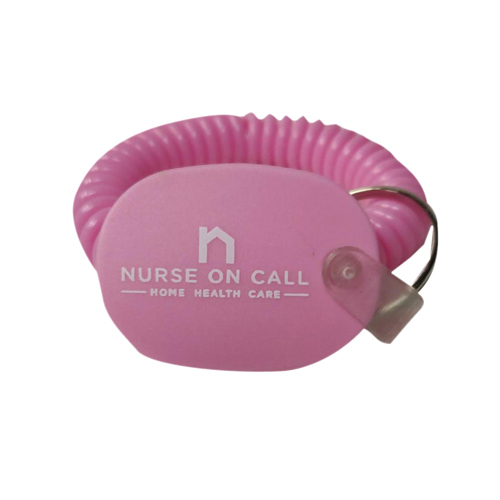 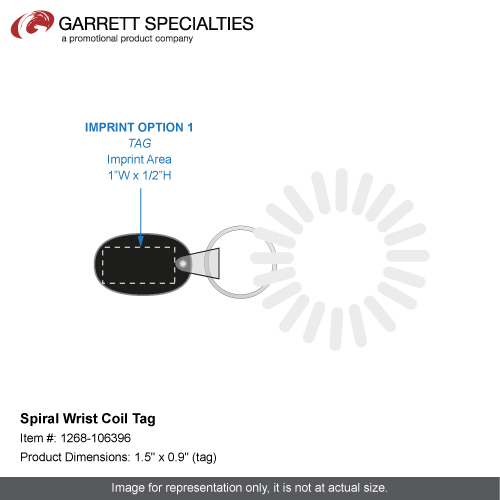 The Spiral Wrist Coil Tag is an inexpensive giveaway that will be a great billboard for you logo or message.Easy to carry by just slipping it on your wrist so it is always handy. 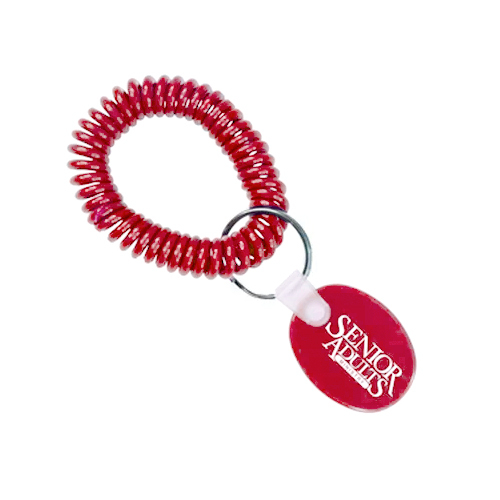 7 Busines Days *Production time begins after artwork approval and does not include shipping time.